Description: This is a high quality, leather covered, sporting cartridge box that has an interior matrix of 16 metal tubes in a 2 x 8 configuration. 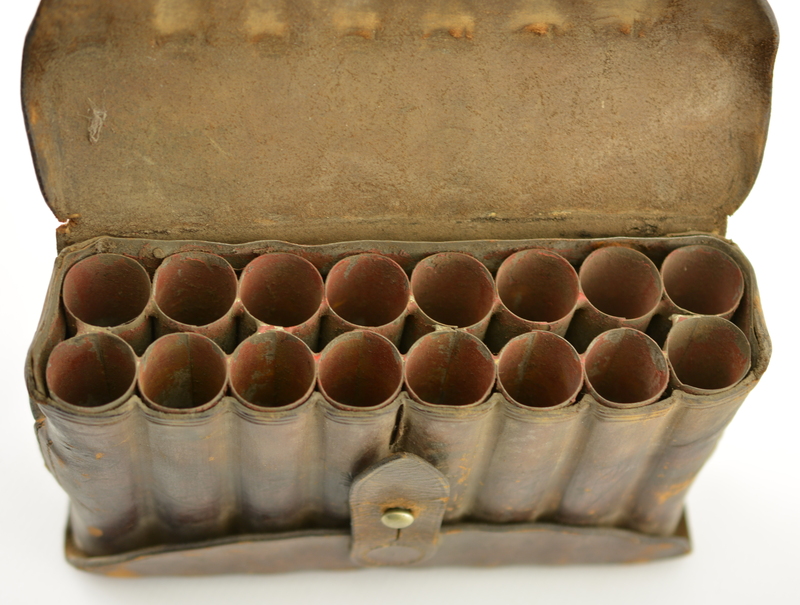 The tubes are .85” in diameter, 4 1/2” long, and divided in half by metal rods running perpendicularly along the long axis. 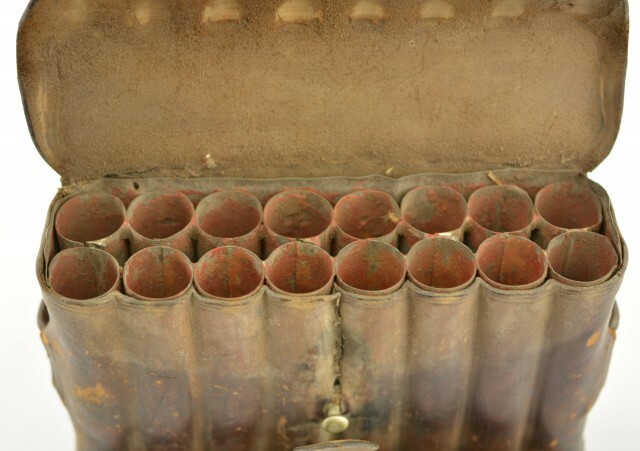 The tubes have what appears to be an original red paint, or enameled finish on their interiors that has flaked at the mouths. 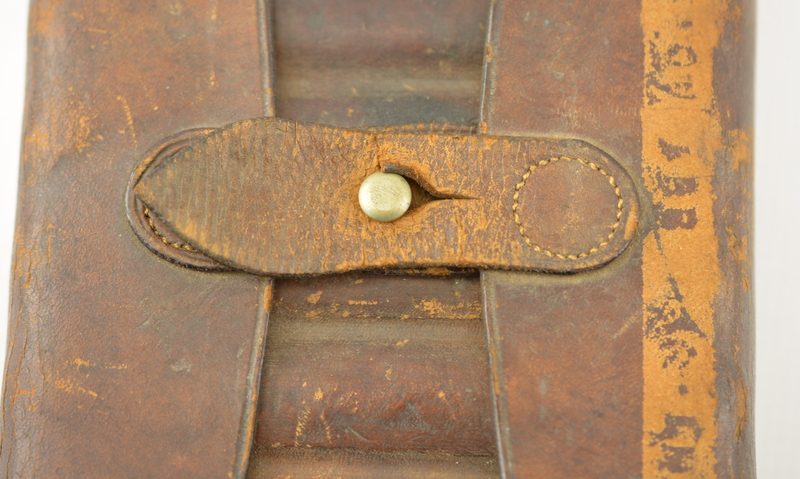 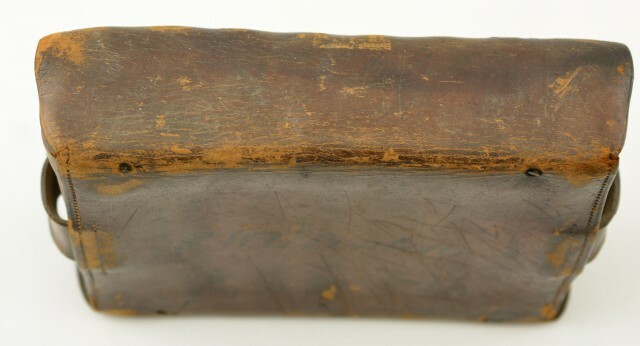 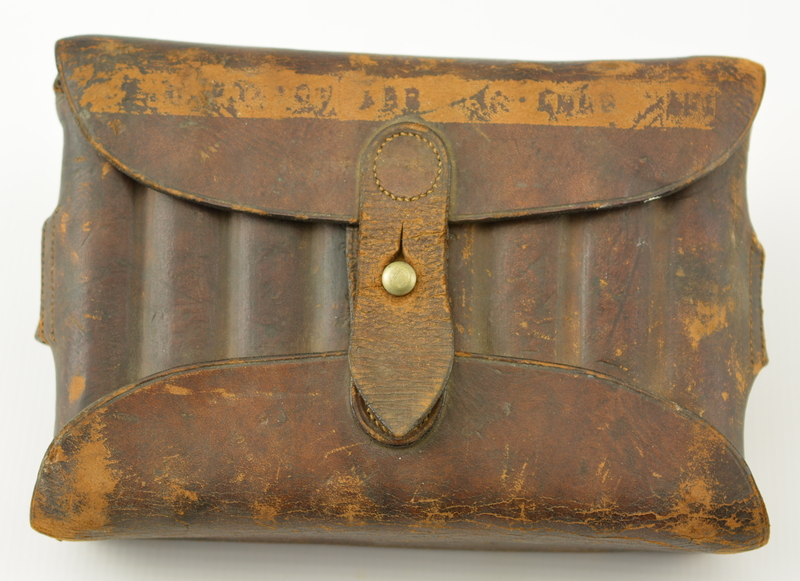 The exterior is brown leather with top and bottom cover flaps, each with a closure tab that loops onto a single German silver stud in the middle of the box. 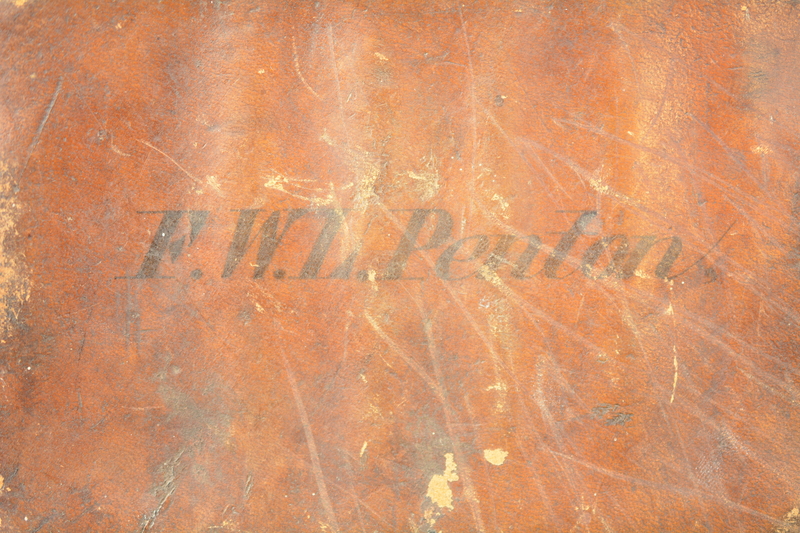 The ends have sewn leather loops for a shoulder strap, and Penton's name is neatly written in black ink along the back: “F.W.L. Penton”. 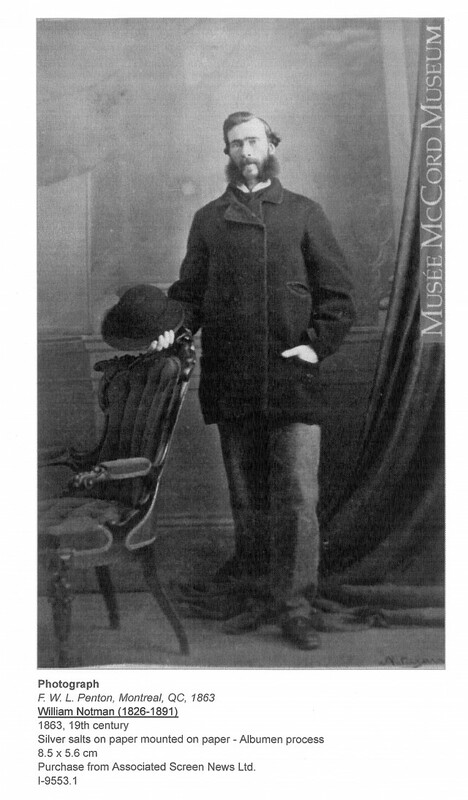 Penton was already a QC (Queen's Counsel) when he became Chief of the Montreal City Police in 1865, serving in that office until 1879. 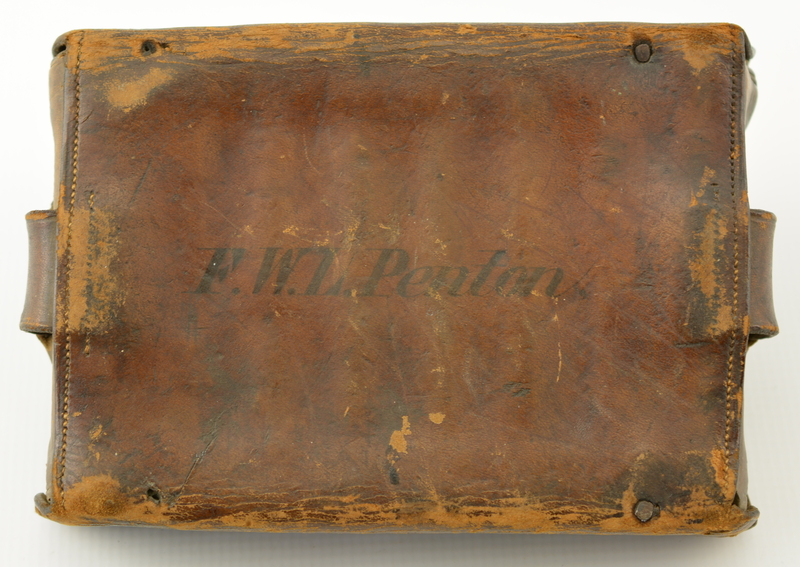 Additionally, Penton was a member of the Montreal Masonic Lodge, and was an officer in the Montreal Snowshoe Club. 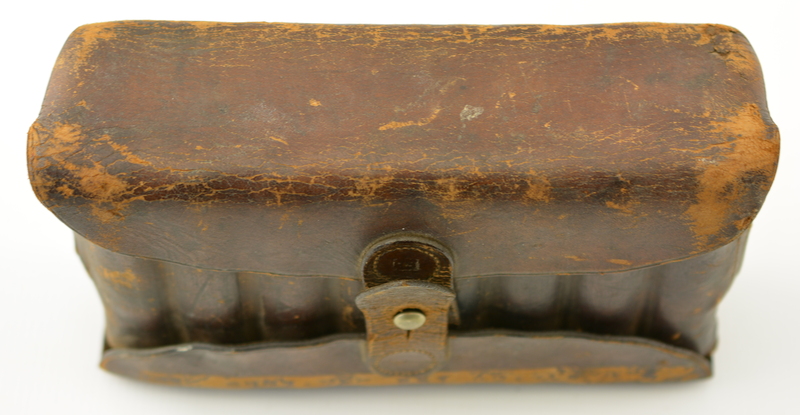 This is a terrific, high quality cartridge box, and has a connection to an important Quebec law enforcement official.